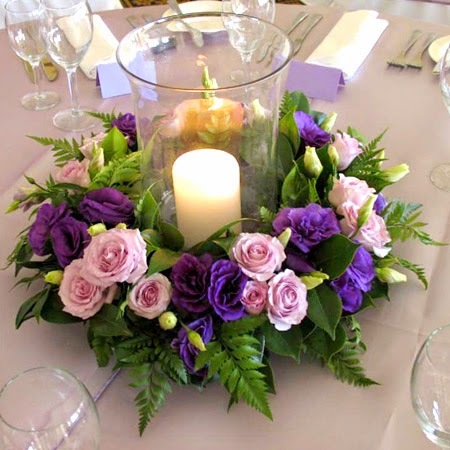 One great centerpiece idea that is very inexpensive is using rose petals with candles. 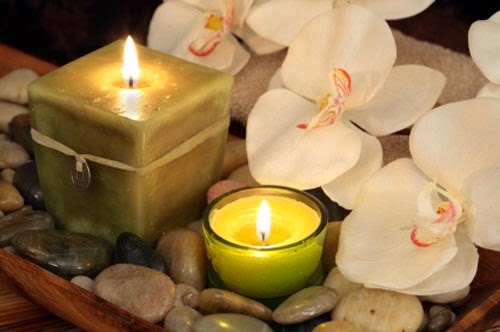 Just sprinkle some rose petals at the center of the table and place a group of candles over them. The candles should be of different heights. Tie red and gold ribbons around the candles. You now have a very easy and affordable centerpiece that will only cost you a few measly dollars. 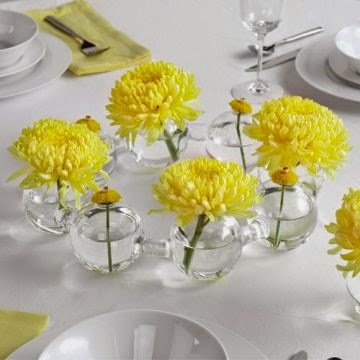 You can also buy cheap colorful slim vases and put in long stemmed colorful flowers. 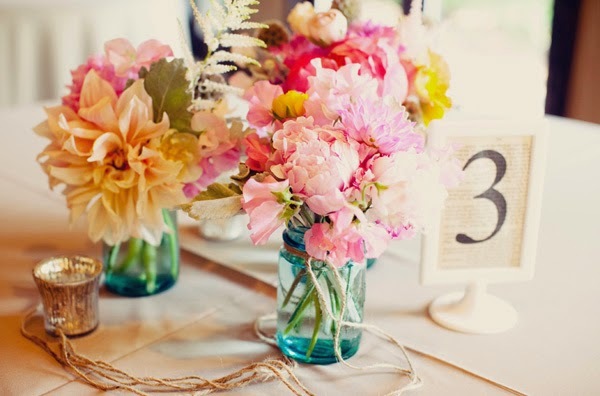 It would be better to put one to three colorful flowers in each slim vase to keep it clean and simple. Remember though, you're working with several colors here so don't add too many elements as that might make it appear cluttered. For an autumn wedding reception, you can use the harvests or produce that are common in autumn such as gourds, pumpkins, acorns, nuts, sunflowers, wheat, and so on. You can combine different elements in one centerpiece. These are very cheap and you can easily find them at the market or various other shops. Use candles of different shapes, height, and thickness for an interesting centerpiece. Just tie a wide ribbon around them and place twigs, flowers, or leaves around them. This is very cheap yet very elegant. For a beach wedding, take advantage of the things that you can collect at the beach such as sand, pebbles, sea shells, starfish, and so on. These are all free! Just create something using these materials and you will have the perfect beach wedding centerpiece. If you have a Hawaiian wedding, you can use tropical fruits such a pineapples, mangoes, watermelons, and bananas as your centerpiece. You can cut them in half and place them on a beautiful wooden tray. Create a design using these cut fruits. This centerpiece is not only decorative but also edible. Your guests can eat them if they want while waiting for the main course!